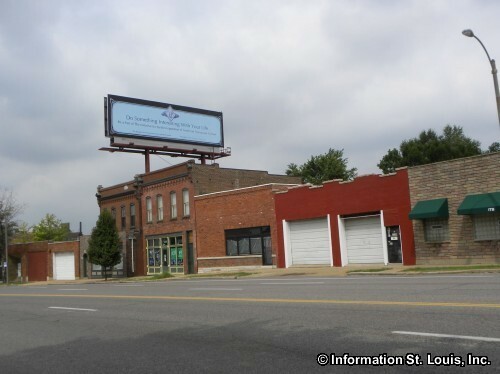 The McKinley Heights Neighborhood is located south of Downtown St Louis. The boundaries of the neighborhood are Interstate 44 on the north, Gravois Avenue on the southeast and Jefferson Avenue on the west. Surrounding neighborhoods are Lafayette Square to the north, the Fox Park Neighborhood to the west, Benton Park Neighborhood to the south and Soulard to the east. The residents of the McKinley Heights Neighborhood are served by the St. Louis Public School District. Two of the district's schools are located in the neighborhood. One of them is a combined high school and junior high and holds the McKinley Classical Leadership Academy, a Magnet High School with the specialty of "Gifted Education" and the McKinley Classical Junior Academy, also a Magnet School that serves grades 6th through 8th. McKinley is located on Russell Blvd. The other school is Sigel Elementary School located on Allen Avenue. Nearby public schools include the Humboldt Academy of Higher Learning which is located in the Soulard Neighborhood and is a Magnet School for students in 3rd through 5th grade. Private schools include The Soulard School, located in the Soulard Neighborhood on Victor Street and the St. Louis Christian Academy in The Gate District Neighborhood on Lafayette. Lift for Life Academy is an independent charter school that provides education for students grades 6th through 12th and is located in the Kosciusko Neighborhood on Broadway. Conveniently situated on South Jefferson Avenue is the Barr Branch of the St. Louis Public Library system. It is one of 15 branches that are located through out the city. Several of the 111 parks of the City of St. Louis are found in the surrounding neighborhoods. The historic Benton Park was designated as a city park in 1866, which makes it the second oldest park in the City. Visitors to the park enjoy its one acre stocked fishing lake as well as the picnic pavilion, playground and tennis courts. Lafayette Park, also a historic park, features a stocked one acre fishing lake, a boathouse, a gazebo and athletic fields. Fox Park provides a half court basketball court, a playground, and a lighted softball field for local residents to enjoy. The entire McKinley Neighborhood has been placed on the National Register of Historic Places and is designated as the "McKinley Fox District." The McKinley Classical Academy school building is a significant and the most well known, contributing building in the historic district. It was designed by William B. Ittner in 1902 and opened in 1904 originally as the first high school on the City's south side. It was visited by many in the field of education during the 1904 World's Fair. Early the early 1900s, German immigrants built most of the brick multi-family buildings found in the neighborhood. These were then rented to the Serbians and Russians who came to St. Louis looking for jobs to work in the clay and coal mines. St. Michael the Archangel Orthodox Church was established in the neighborhood in 1909 for those many Europeans coming to the area. 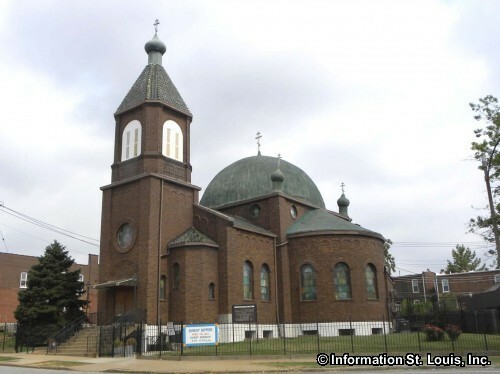 The present Byzantine style church on Ann Avenue at Gravois was completed and dedicated in 1929.